A warning from authorities, tonight. Police said men posing as workers from a water company targeted elderly people in their homes; and robbed one couple. The latest incident happened Wednesday in West Hartford. “It’s a trick we’ve seen happen in West Hartford before,” said Sgt. Eric Rocheleau, with the West Hartford Police Dept. Police said a man posing as a worker from the Metropolitan District Commission went to a home on Newington Rd., and talked his way in to the elderly woman living there. “He brought her into the basement under the guise of looking at her water meter, and while down there, he asked her to stay down there while he ran upstairs after receiving a phone call,” said Sgt. Rocheleau. Investigators said the man asked the 87-year-old woman if she had cash in the house, then left. It’s unclear if he stole anything. “It seems like this very well could have been an attempt to take things from the house,” said Sgt. Rocheleau. Police are looking into two incidents in as many days where men posing at water company workers are trying to rob the elderly. This comes one day after a similar incident was reported in Newington. In that case, the two victims were elderly too, and also lived on a main road, where you can’t park on the street. 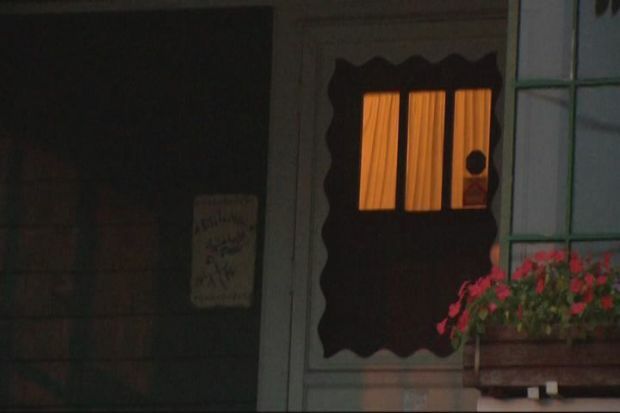 Newington police said two men, also claiming to be employees from the water company, pushed their way into a home on Willard Ave., and robbed the two elderly residents. They then drove off in a vehicle, described as a dark grey or dark green work van. Both cases have residents on edge. “It’s a little unnerving. We’ve only been here for about three months and…it’s been a pretty friendly place,” said Neil Spencer. “It’s hitting home. Something’s going to have to be done about it,” said another West Hartford resident. Police said while the elderly are often targeted by thieves, anyone can be a victim. “We ask people to be vigilant, and look out for their neighbors,” said Sgt. Rocheleau. No one was injured in either incident. Both are under investigation. The Metropolitan District Commission urged residents to ask for identification from anyone who comes to their door; all MDC employees are required to carry badges.